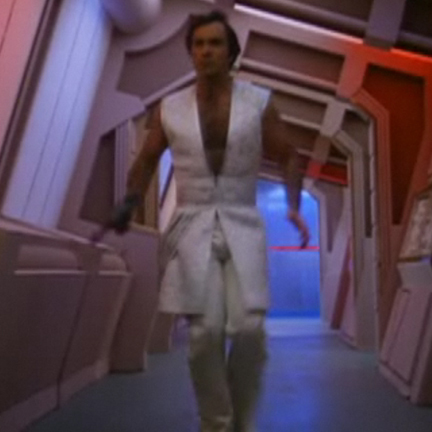 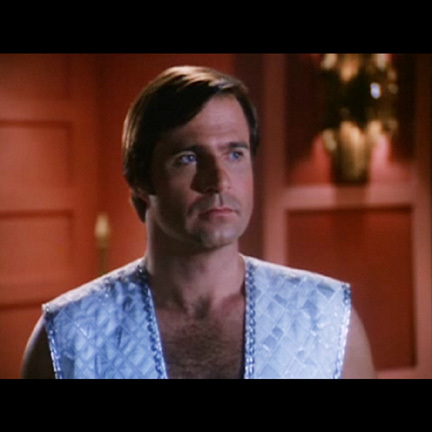 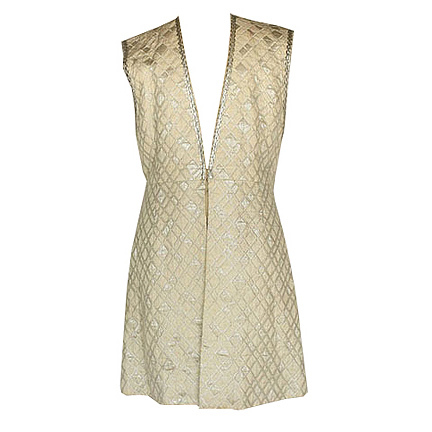 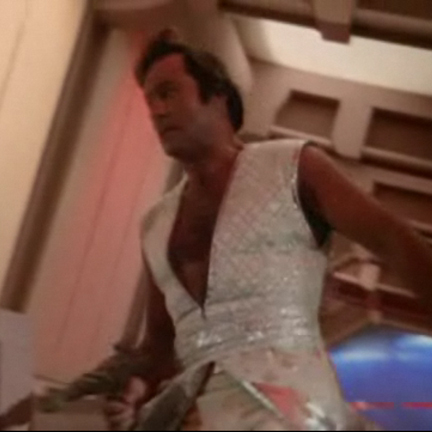 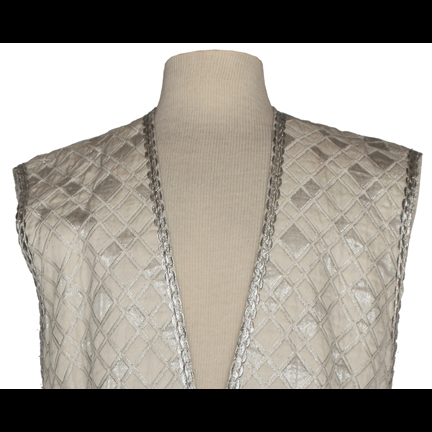 This futuristic wedding vest was worn by the character “Buck Rogers,” portrayed by actor Gil Gerard, in the hit television series, “Buck Rogers in the 25th Century.” The custom made long sleeveless satin vest with plunging v-neckline is constructed of white and silver fabric woven in a diamond pattern, giving the illusion of quilting, with silver braid on the neckline and armholes. 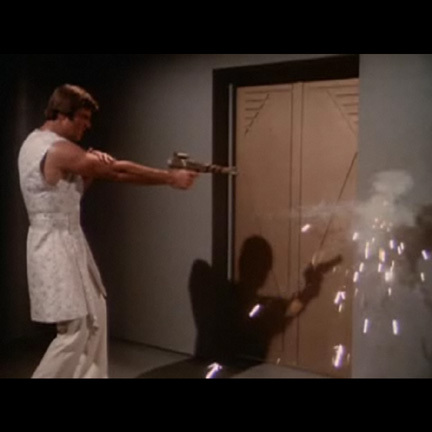 Mr. Gerard wore this garment in multiple scenes of “Escape From Wedded Bliss” (Season 2, Episode 5). 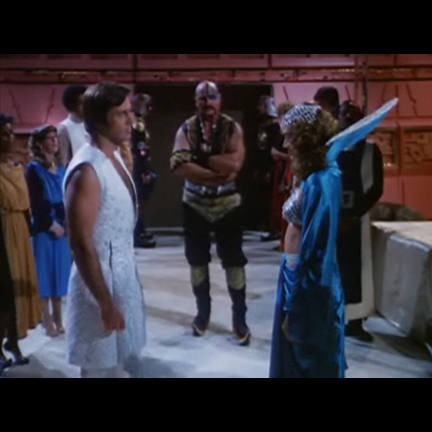 In the episode, Buck is forced to marry the evil Princess Ardala (Pamela Hensley) in exchange for her not destroying planet Earth with her ultimate weapon. 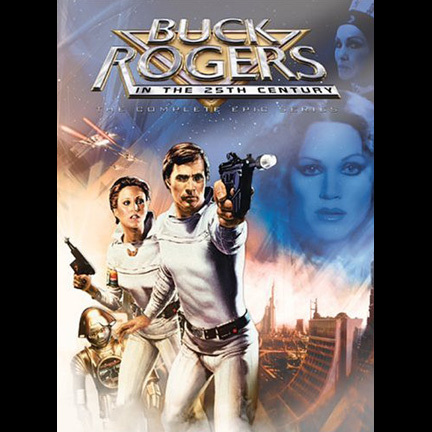 “Buck Rogers in the 25th Century,” which ran from 1979 – 1981, was nominated for five Emmy Awards, and costume designer Al Lehman was nominated for an Emmy for his outstanding work on the production in 1980 and 1981.